Who says you have to leave the beauty of nature outdoors? 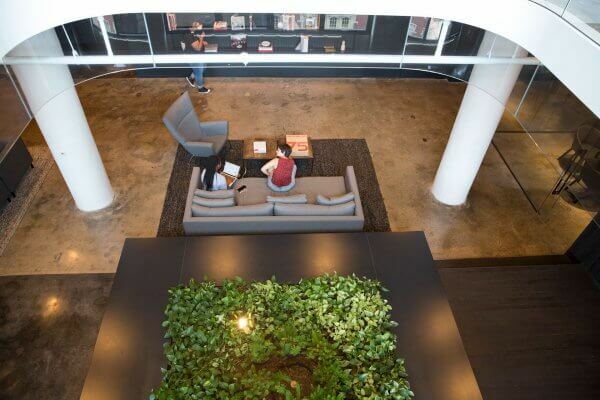 As office layouts become increasingly dynamic and flexible, incorporating elements of nature can help create a soothing and visually stimulating work environment. Planting vertical gardens, or ‘green walls’ is the perfect way to improve the natural beauty and ambience of your office. Choosing appropriate indoor office plants will ensure that your green façade is a flexible, low maintenance visual statement that will calm employees and impress clients. 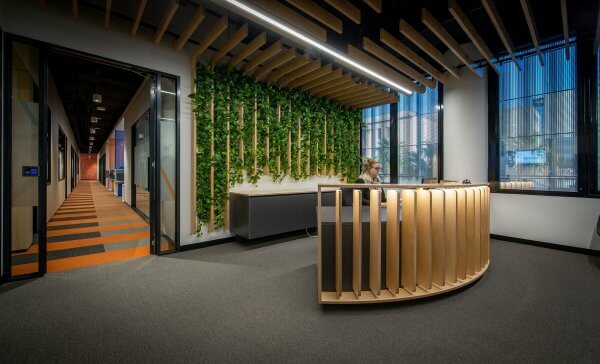 In addition to visually promoting sustainability as part of your company ethos, installing green walls can significantly reduce energy consumption. The natural transpiration of plants has a cooling effect, reducing the reliance on air conditioning and combatting the Urban Heat Island Effect. 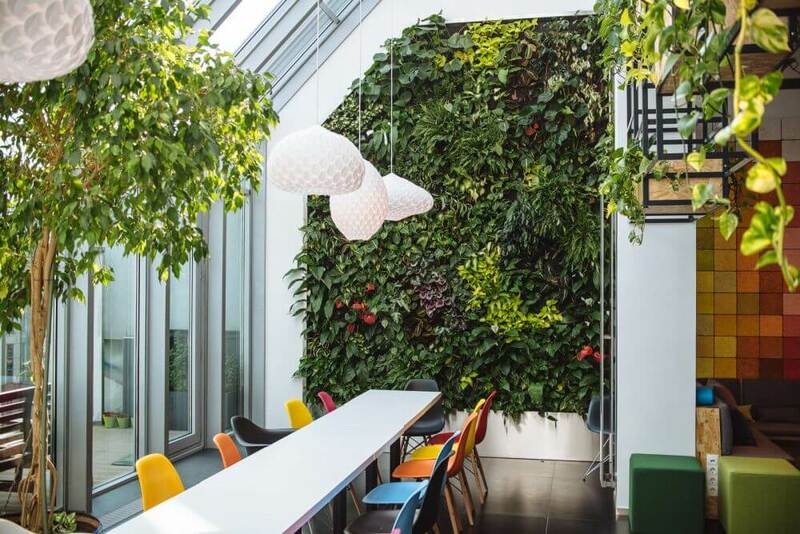 During the colder months, green walls will act as a natural insulator, decreasing your heating bill while making sure your staff stay cosy and environmentally conscious. Filter out the bad vibrations and nasty chemicals – living green walls act as a bio-filter that naturally reduces the presence of harmful pollutants and improves air quality. They are a great way to minimise dust, carbon dioxide, and the risk of sick-building syndrome, allowing employees to breathe easy. The sound-absorbing qualities of green walls can also improve office acoustics by filtering out high frequencies, limiting distractions and consequently, improving employee productivity. Human beings are understandably more productive working in a calm and comfortable environment, and indoor office plants have been proven to reduce the stresses of working life in a variety of ways. 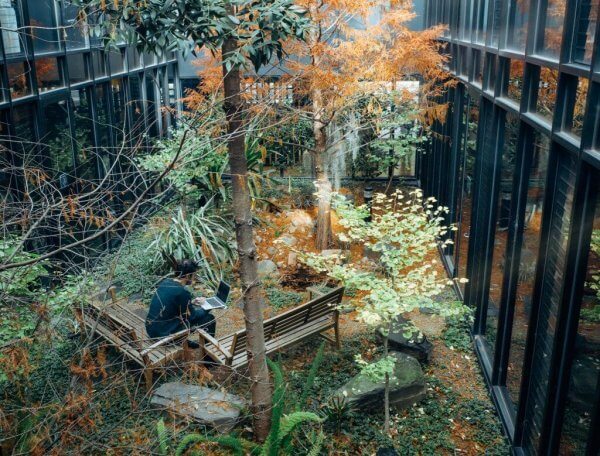 The benefits of greenery on employee health are underpinned by scientific studies, including one that found occupants of green-certified buildings to have better sleep, fewer health problems, and cognitive function scores 26% higher than those in uncertified buildings. Many of the benefits are intangible, yet vital to fostering a healthy work environment. It makes sense that allowing employees to remain in touch with nature will reduce the sense of restriction and mental fatigue often associated with office work. With people spending more and more time indoors, bringing the outside in is an ideal solution to helping them maintain a connection with nature on a day-to-day basis. Adding indoor plant life promotes a sense of calm and freedom that has been proven to boost the mental health, mood, attentiveness, and productivity of employees. Every office (and its workforce) is different, so taking a one-design-fits-all approach to any fitout isn’t one we’d recommend. Creating a living, breathing office can do wonders for your business, but for the health of your organisation (and your plants), we suggest consulting with the professionals.